Everyone hip on Subway's sandwiches knows the key to cloning the flavor of many of the chain's top-sellers is in hacking the secret sauces. For example, Subway's Sweet Onion Chicken Teriyaki Sandwich is pretty bland without the Sweet Onion Sauce. And one of Subway's newest creations, the Chipotle Southwest Cheese Steak, is just a cheese steak sandwich without the Chipotle Southwest Sauce. 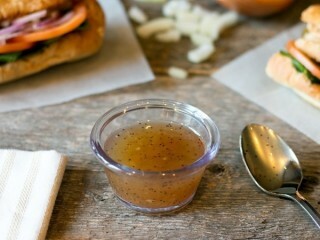 Now, with this simple sauce clone, you can recreate the slightly sweet, mildly sour, and a little bit smoky sauce at home to take any of your home sandwich creations on a trip to the spicy Southwest. But you don't have to stop at sandwiches. 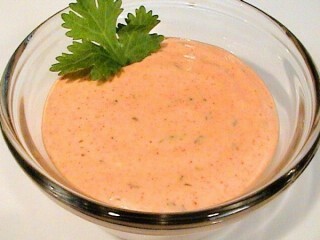 This sauce also makes an amazing dressing for a zesty Southwestern-style salad. You'll need to pick up some ground chipotle chile in the spice section of your market. McCormick makes good stuff. Let's face it, it's the sauce that makes this sandwich so good. If you take the Bourbon Street Glaze away from Subway's new Bourbon Street Chicken Sandwich, you end up with...a boring chicken sub. Once you've got this secret sauce cloned, you can drizzle it over your next boring chicken sub to experience the greatness that is one of Subway's most delicious products. The Sweet Onion Chicken Teriyaki Sandwich, one of Subway's biggest new product rollouts, is made with common ingredients: teriyaki-glazed chicken breast strips, onions, lettuce, tomatoes, green peppers, and olives. 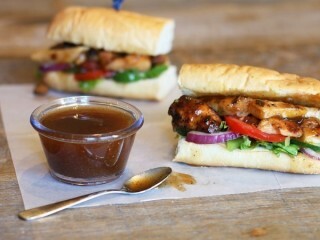 But what sets it apart from all other teriyaki chicken sandwiches is Subway's delicious Sweet Onion Sauce. You can ask for as much of the scrumptious sauce as you want on your custom-made sub at the huge sandwich chain, but you won't get any extra to take home, even if you offer to pay. Now you can pour a copycat version of the sauce to your home-built sandwich masterpieces whenever you want.